US-based subsea technology company OceanWorks International names Billy McKeown as General Manager in Istanbul, Turkey. 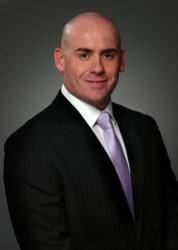 Billy Mckeown becomes General Manager for Aykor Teknolojik Ürünler Sanayi ve Ticaret Anonim Şirketi (OceanWorks Aykor) in Istanbul Turkey. As General Manager, his function will be to manage the organisation’s operations from the Istanbul location ensuring OceanWorks International and its new affiliate OceanWorks Aykor continue to deliver industry leading, high quality products and services to our customer base. Throughout his extensive career, Billy has held numerous executive positions with companies in the Subsea, Marine Engineering and Oil & Gas sectors. Billy is a results oriented manager with a successful track record of driving the overall company objectives and successfully leading multiple projects to completion. He is a multi-skilled leader who is ideally suited to starting up and growing the new Turkish company. Billy holds an Honours degree in Engineering Management from Coventry University, as well as the completion of an MBA in Operations Management from Anglia Ruskin Cambridge University. “We are happy that Billy has decided to join our team. He has an excellent track record and his proven skills and experience will immediately make a significant contribution to OceanWorks Aykor’s growth and evolution”, states Rod Stanley, Chief Executive Officer at OceanWorks International.